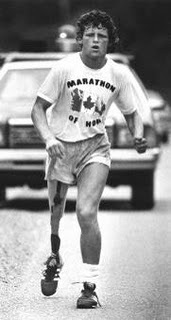 We all know who Terry Fox was, and most of all, what he represented. After embarking on his cross-Canada Marathon of Hope back in 1980, 143 days and 5 373 kilometres into his journey, Terry was forced to cut short his marathon outside of Thunder Bay, Ont. due to the spread of his cancer that ultimately cost him his life. Terry's legacy, however, has remained, one that has become recognised worldwide. The marathon Terry could not finish back in 1980, the world now tries to finish for him through the annual Terry Fox Run. In Portugal, Terry's Marathon of Hope has been honoured for the last decade and a half through the annual Corrida Terry Fox. Organised by the Portuguese League against Cancer in conjunction with the Canadian Embassy in Lisbon, this years 16th annual run takes place Saturday, May 7th at the Praça das Nações. Registration starts at 9:30AM and the ru n will start at 11:00PM. Registration is 5 euros with all proceeds going towards the financing of oncological and cancer fighting projects. With their registration fees, participants will receive a t-shirt marking the event, as well as an Olá ice cream (yum-yum). Participants will also have a choice of distances, either 1.5 kilometres or 5 kilometres. 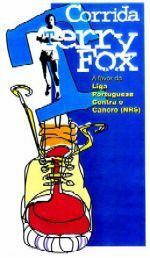 In sum, through its previous Corridas Terry Fox in Lisbon, 520 000 euros has been raised in honour of Terry's fight against cancer. CanadiansinPortugal.com thus urges everyone to come out on the morning of the 7th of May to Praça das Naçoes for what will be a fun and healthy event, and to honour Terry and keep his dream alive as well. Hope to see you there.